We focus on simple honest flavours and simple straightforward good service. Kinme’s Master Chef has 10 years of training in Tokyo & Nagoya, over 20 years experience with all types of Japanese foods and was the top sushi chef in a 5 star International Hotel chain. 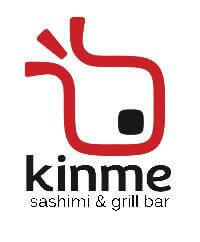 We offer the best nigiri & chawan mushi and we are aiming to be the best place to eat and drink in town.